Growing up, the magazines in our home were Time, National Geographic, and Good Housekeeping. Whenever anything was purchased, my parents consulted Consumer Reports, and or Good Housekeeping. New recipe tried for dinner? There's a good chance it came from the pages of good Housekeeping. Many a collage was made from those same pages; in fact I made a collage as a new sorority pledge to represent my personality and I know that some of the items pasted onto that board were cut from an issue of Good Housekeeping. And now I am an adult, and Good Housekeeping is still a part of my life. In this day and age of influencers promoting most anything for a buck and magazines choosing content based upon advertisers, it's refreshing to see that Good Housekeeping maintains its ethics, only featuring that which literally passed the test. I regularly pick up an issue at the airport and search online for their unbiased reviews of everything from detanglers to dishwashers. Good Housekeeping magazine began in 1885 with a goal “to produce and perpetuate perfection – or as near unto perfection as may be attained in the household.” This was before the FDA and any government regulations or laws to protect consumers from false claims, dangerous products, and snake oil salesmen. They warned readers about food adulteration and provided information for food safety. 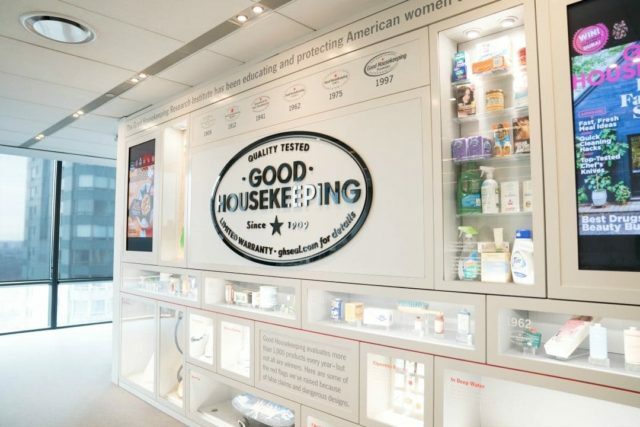 In 1900, they created the Good Housekeeping Institute (though at that time it had a different name) where products were tested for safety and effectiveness. In 1909 the Good Housekeeping Seal launched with a list of 21 consumer products in the magazine. Any product that withstands the investigation of the Institute staff is eligible to be included in the newly developed “Tested and Approved” section of the magazine. Good Housekeeping has always been ahead of its time, choosing that which is right over that which pays the most. They stopped accepting cigarette ads in 1952 because of the health dangers, and as early 1927 warned about the dangers of consuming too much sugar. Over the years, many of Good Housekeeping's tests have brought upon federal legislation to improve product safety. And you know that drugstore brand that shares in every ad that their moisturizing cream beat out a $350 one? Good Housekeeping's Beauty lab did that test. 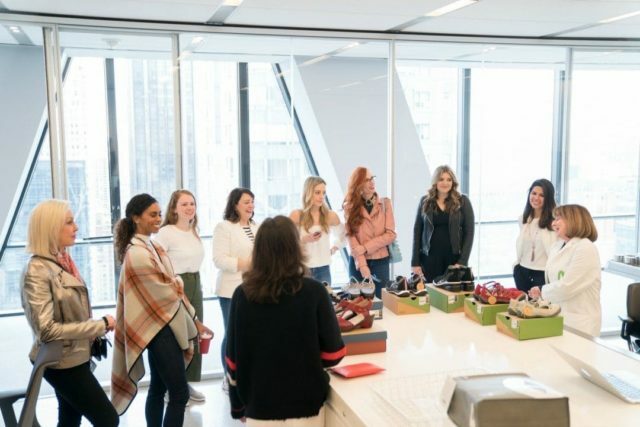 So I was pretty excited when I was invited by Jambu footwear to visit Good Housekeeping headquarters in New York City for a tour and lunch. Jambu makes some super comfortable and functional shoes, ones so great they carry the Good Housekeeping Seal of Approval. Jambu provided me with my travel (I believe the best way to get to NYC from DC is by train) and a pair of shoes of my choice. I chose the Azalea in Blush, a gladiator-inspired open sneaker. I liked the low-contrast color, knew they'd be great for pounding the pavement, and would be fantastic this spring for sight-seeing and bopping around town. 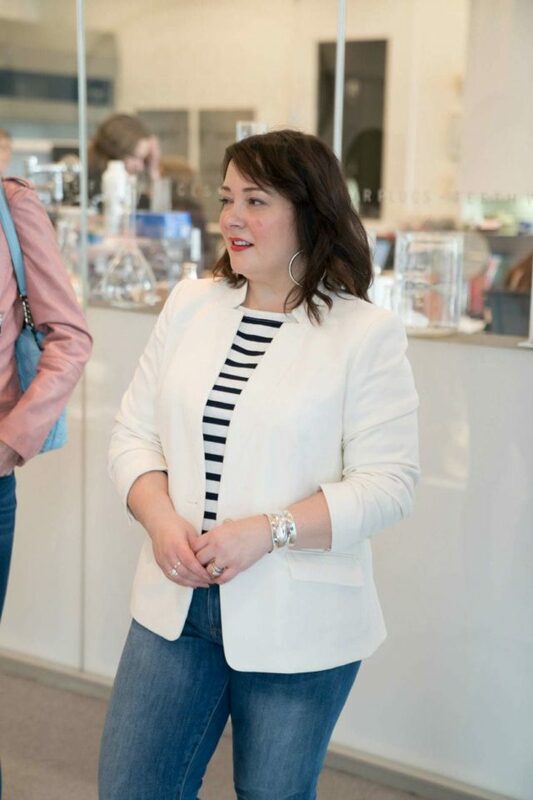 I styled the sneakers with this cream blazer from Talbots (previously seen in this blog post), an ivory and navy striped J. Crew top (reviewed in this blog post), and these jeans from Banana Republic (previously seen in this blog post). For my bag, I brought my Dagne Dover Dakota Backpack; it's lightweight, has a pocket or compartment for everything, yet looks sleek and stylish. FYI, Jambu is offering Wardrobe Oxygen readers 20% off any jambu.com purchase through June 30 with the promo code OXYGEN18! I caught a train at 7am from DC's Union Station and had the Quiet Car almost completely to myself. With breakfast, my laptop, a new novel, and headphones I had a great time. I even meditated on the trip! I arrived at Penn Station a little before 11am and walked out to a view of the Empire State Building. While it was sleeting in DC, it was dry and about 10 degrees warmer in the Big Apple. No time for sightseeing, I grabbed an Uber and headed to Hearst Tower where I met the five other bloggers part of this event. 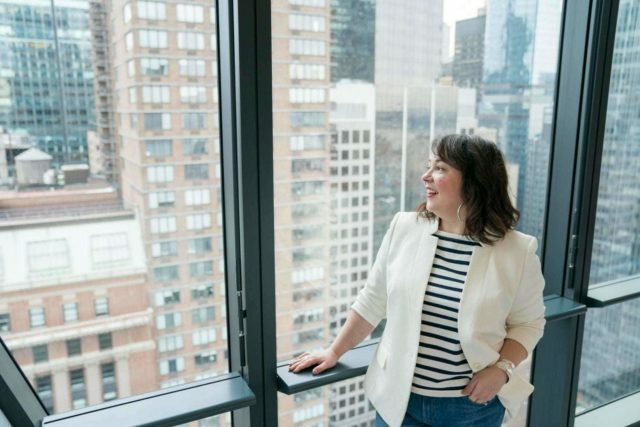 As someone who has loved magazines her whole life and for many years years dreamed of being an editor at a magazine, entering Hearst was pretty freaking amazing. I'd say one of my top five experiences as a blogger. I totally was a tourist, filming the ascent on the escalator and the famous bank of elevators for my InstaStories! We arrived at the Good Housekeeping Institute, and it's way bigger, more sci fi, and also more beautiful than you could imagine. We received an extensive tour of their labs and test kitchens, often having the chance to question those who worked there or learn a little behind the scenes. The Good Housekeeping Institute is no joke; they put products to a serious test. To test shampoos for color-treated hair, they ordered pounds and pounds of human hair of varying colors and textures and washed each bunch 30 times with the shampoo. They then hung them up in a room with consistent lighting to photograph to analyze any fading or damage (FYI, Hair Food, the brand I did a sponsored post on earlier this month was one of their top picks! I told you it was good!). They were working on a test of frizz-fighting hair products and had a climatology chamber to be able to amp up the humidity and measure hair shrinkage. For vacuum cleaners, they would measure out a certain amount of dirt onto a machine with carpet on it. They'd then put that carpet through a beating, similar to the wear and tear in a typical home, vacuum and measure how much dirt the machine was able to collect. For the recipes Good Housekeeping provides, they go through just as much analysis. The kitchen is run by a James Beard Award winner, and all recipes are tested at least three times using ingredients, tools, and appliances easily accessible to most households. Many of the staff told us they had been with Good Housekeeping for a decade, two, even more. It was an environment vibrating with passion, teamwork, and creativity. Oh, and the VIEW! Omigosh the view from the Good Housekeeping Institute was jaw-droppingly amazing. After our tour, we were invited to the Good Housekeeping living room. When Good Housekeeping was purchased by Hearst in 1911, it moved from Massachusetts to NYC and the headquarters had a formal living room and dining room. 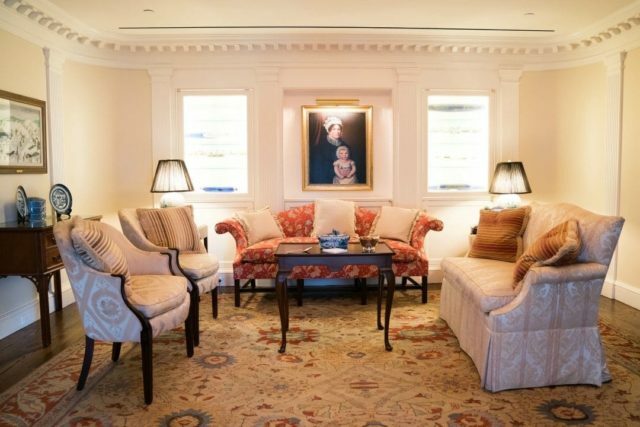 When Hearst Tower was finished in 2006, the Good Housekeeping living and dining rooms were meticulously recreated in the new space, all the original items catalogued and carefully stored. These elegant rooms are a stark contrast to the modern white and glass walls of the Institute and it felt so special to be able to be in those rooms. 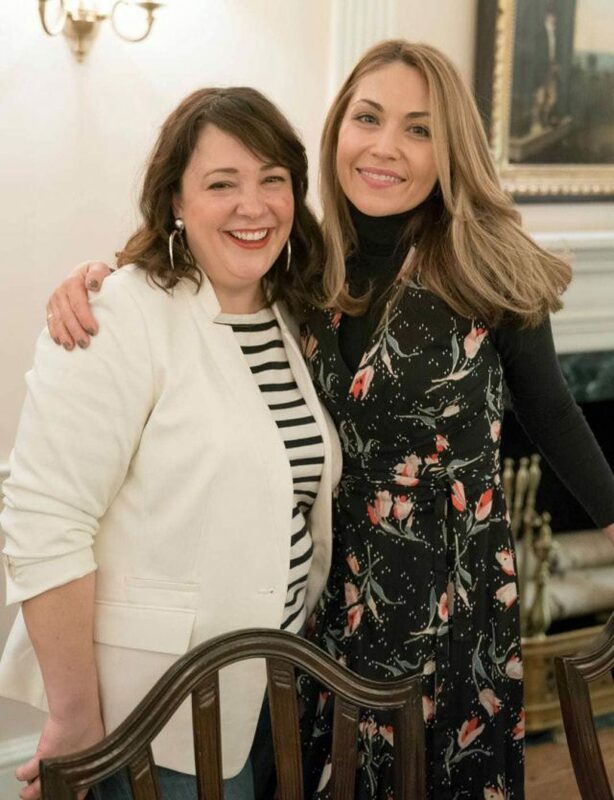 Every president (except the last two… yet) and every First Lady since the FDR administration have dined at Good Housekeeping and now I was here being offered a glass of sangria! The room was amazing, with so much history. On the wall of the living room was a Grandma Moses painting, and glass cabinets holding a collection of antique rolling pins made of porcelain, glass, and etched with ornate designs. 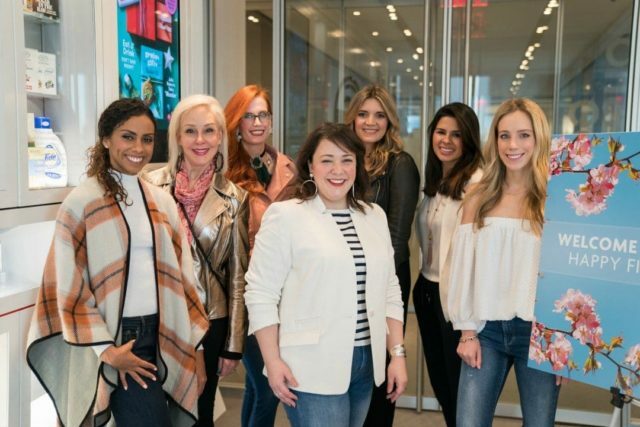 We bloggers and Jambu staff were joined by members of the Good Housekeeping team including Style Director Lori Bergamotto and Fashion Director of Hearst's Lifestyle Group Kristen Saladino. 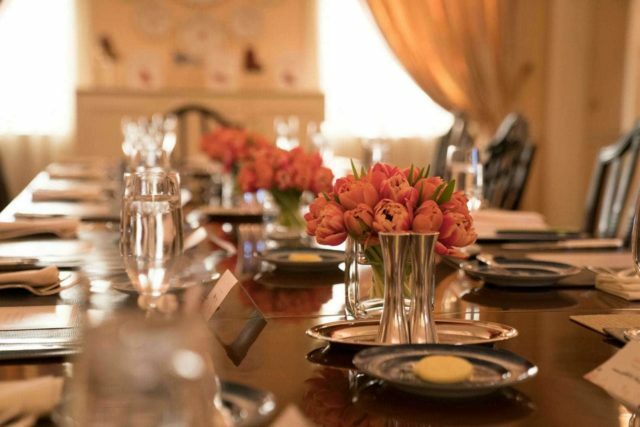 We toasted Jambu and Good Housekeeping, then retreated to the dining room for one of the most elegant lunches I have ever experienced. We were served Good Housekeeping's famous popovers, a treat everyone receives when dining there. 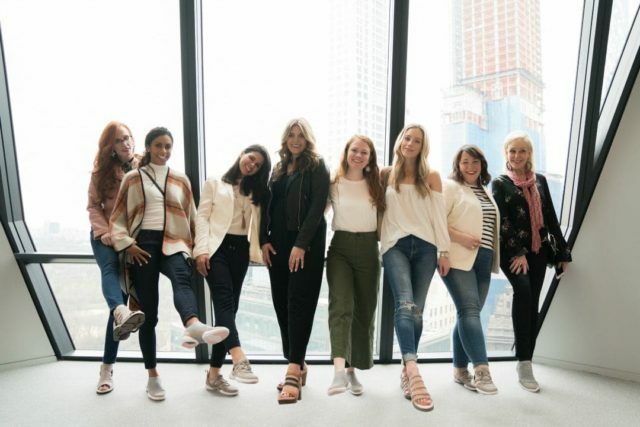 We had an amazing conversation about style, social media, and spring fashion trends. 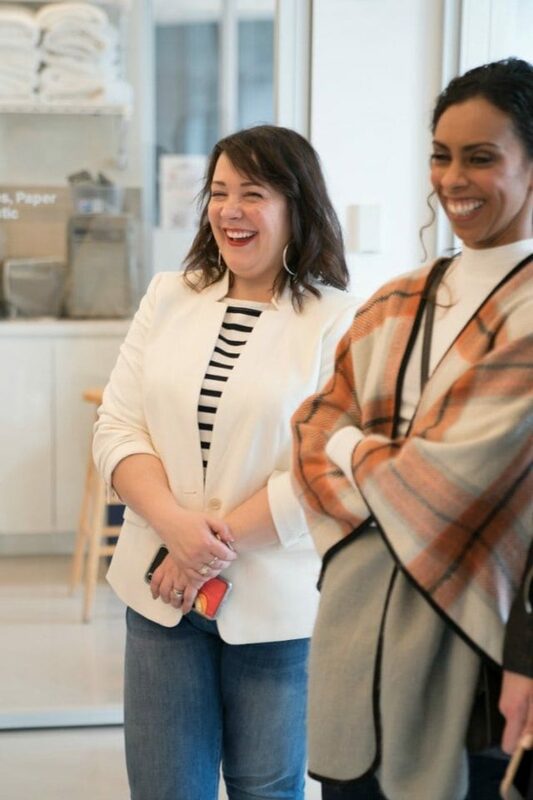 Kristen shared some intel about celebrities who graced the covers of Good Housekeeping (FYI Tracee Ellis Ross is just as amazing as you'd hope she is) and Lori talked about representing Good Housekeeping on TV (you may recognize Lori from her appearances on shows like GMA, Today, and the Wendy Williams Show). Soon my magical trip came to an end. I had a 4:26 train to take back to DC and the weather was starting to become frightful. 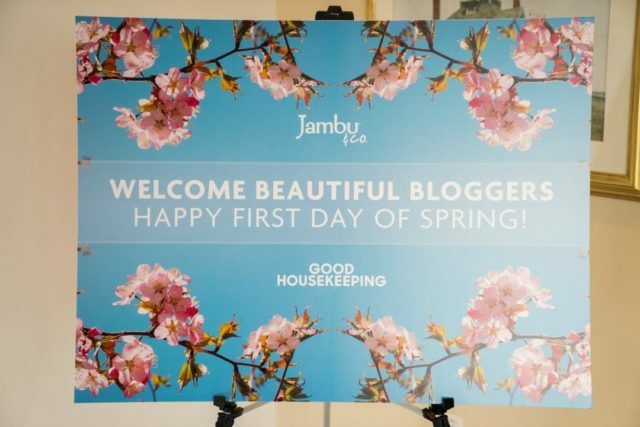 But I'll never forget my time with Jambu at Good Housekeeping! 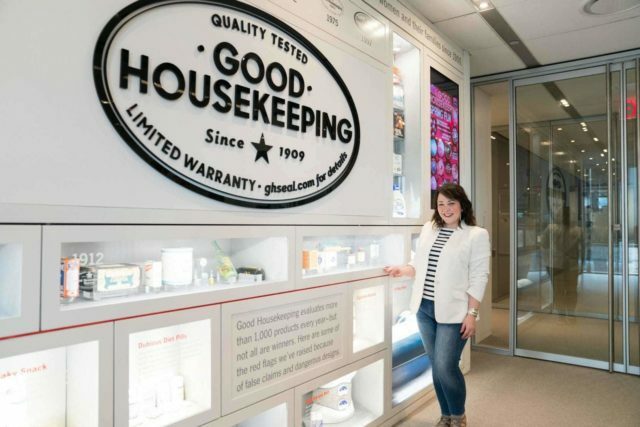 FYI, if you're in NYC you too can get a tour of the Good Housekeeping Institute! Isn’t it awesome? And thank you! You look radiant in this white blazer ! This seems like such an awesome opportunity! And this makes me want to subscribe to Good Housekeeping, I love hearing how thorough their tests are. Love the blazer/striped shirt combo, btw! Right? Made me an even bigger fan of Good Housekeeping! Love that blazer! Ali – how do you feel the jambus would fit a wide foot? I see they only have two styles in wide currently. I’m an 8w or 8.5w but can sometimes get by with 8.5 or 9, depending on fit. I love the Cybil, Spain and Naomi. Honestly, they’re not great for wide feet if not a wide size. I received a couple pairs of shoes from Jambu and the only pair that fit me were the Azalea. Good thing, since I liked them but yeah… hard for wide feet. I didn’t try any of the styles you mentioned though. What a fun time, Allie. I almost was going to join the group, but I’d been travelling twice already this year, and the thought of a plane trip to NYC, was killing me!!! However, now that I know I missed the chance to meet you in person, I’m kicking myself! Hopefully another time…. And I have those shoes in light blue. Aren’t they so comfy??? It would have been great to meet you, Jodie! What an interesting tour! 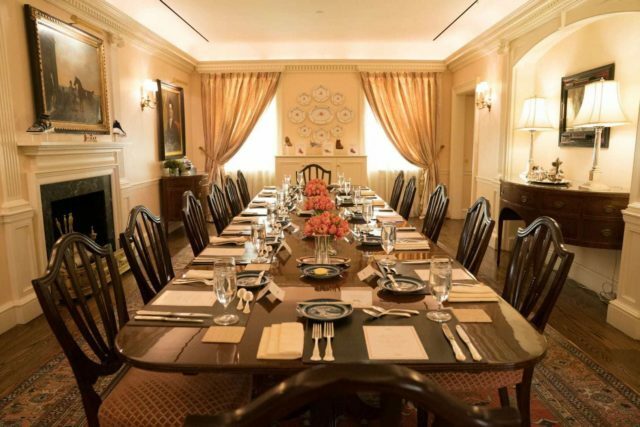 The decor reminds me of The White House! I’m DYING for that notch collar blazer! It’s such a fantastic blazer! Thanks for taking us along! How great that you can now take advantage of weekday jaunts like this! Fully agree, it was smart to leave my day job to be able to pursue this on a full-time basis. I’ve had so many cool opportunities like this and the ability to grow this dream!